This week’s list is full of new releases, finally this new year is gaining speed when it comes to new music and I really like it. 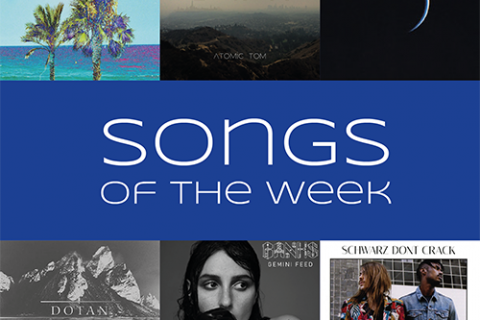 But luckily there’s a lot of other good music out there lately and you’ll get another taste of this on this brandnew Songs of the Week list. It felt a bit like I was putting together a roadtrip playlist. The ORACLE told me to Drive into the Wild West. At first It Gets Cold but then we meet the Summer Girls. But I’ll Never Be Like You, because you’re taking this musical journey for the first time. I heard it in the wrong order before… Anyway. Here we go. 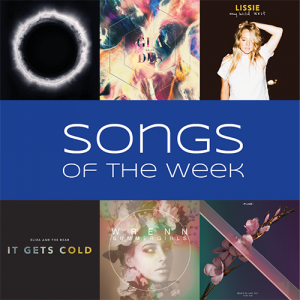 Click here to get to the list of this week on Spotify. ORACLE is a haunting, minimalistic electronic pop song, which is a little less darker than what we’ve heard of Haelos before. It’s great for an relaxing evening and I enjoy it. Remember Halsey’s song Drive from her album Badlands that I absolutely loved? Here’s another one with the same name that’s really good. Maybe the name itself is a formular for success. Drive is the evocative new single by alternative band GLADES (what’s with all the capital letters lately…). The song is captivating and dreamy and I’m excited what’s next for the band. And here’s our destination. My Wild West is folk rock singer-songwriter Lissie’s newest album and Wild West is the title track. I enjoy listening to it, because it’s got a special strength and tells a good story. This song would have been more fitting last week when it really got cold, but who trusts the weather forecast. Maybe it’s going to be cold again. And then It Gets Cold by Eliza and the Bear is the perfect song to warm your hearts. It’s a cheery indie rock track that has a fresh sound. Just embrace a bit of happiness by listening to it. And when you’re feeling happy and warm enough it’s time for relaxed Summer Girls. The song by American singer-songwriter Wrenn impresses with her luring vocals and easy going sound. Listen to her EP Apathy & Good Books, it’s a good one. Never Be Like You is the first single of Flume’s new album that will be out somewhen this year. Singing on the track is Canadian singer Kai. Ambient noise meets soft lyrics could be the mantra of this song and that’s exactly what makes it really interesting. That’s already it for this weeks list. If your not done with new music for this week and looking for more, there’s also some great new albums that have been released last Friday. Both artists already featured on former playlists and now their albums are out. The first one is Coast’s self-titled album, who were featured two weeks ago and the second Daughter’s Not To Disappear, which I already talked about in December. They’re both really good, so give them a go as well. And as always let me know what you think and don’t forget to follow my Songs of 2016 playlist on Spotify.